Open since August 2008, Kloz 4 Kidz is a free clothing resource center for kids in North Snohomish County. 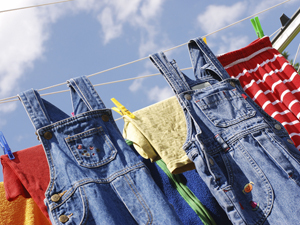 All children preschool through high school are eligible to receive new and gently used clothing every 4 months. This ministry of the Marysville United Methodist Church and the United Methodist Women of MUMC serves families in a friendly, positive atmosphere. Many thanks to Clock Tower Storage - Marysville for the generous donation of storage space for our out-of-season clothing!! Website Copyright © 2011-2013. All Rights Reserved.